In 1927, socialist writer Cho Myeong-hui described the Nakdong River as being “the mother’s milk of many lives” in his historical fiction named after the waterway.1 The river flows all the way from the northern Taebaek Mountains down to Busan and has played an important role in the development of Korean civilization since ancient times, so much so that in 1882, orientalist writer and lecturer William Elliot Griffis was of the opinion that it was the only river of any strategic importance in Korea.2 In addition to being used for the transportation of goods, such as salted fish that was carried all the way up to Andong, its wetlands just west of Busan became a highly desirable farming area. In the early 1900s, all the swamp grasses in the wetland were cut out and the area was developed for farming.3 With natural resources dwindling on the Japanese mainland, getting farmers into Korea was important for the long-term survival of the island nation and its growing empire. Japanese propaganda would promote newly obtained areas, particularly Manchuria, as being rich areas ripe for development, for the Asian mainland was Japan’s manifest destiny. Such promotion is perhaps one of the ways in which the Japanese government attracted settlers to move into the Daejeo area – and unlike some of the places that the central Japanese government wanted to send its citizens to in Korea – the area around present day Daejeo and Gimhae Airport was relatively nice. Though the area is still used for farming, it would have looked quite different seventy years ago. Though the story is a work of fiction, the setting is real. 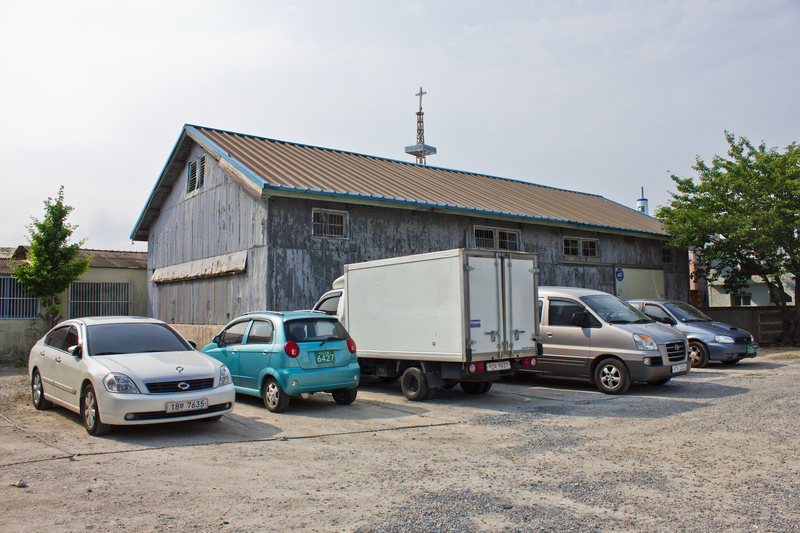 The author’s words not only show the presence of the Dongyang Cheokshik (Oriental Development) Company in the Nakdong River area, but we see the way in which early modern architecture was portrayed as being symbolic of Japanese occupation. Jo further sets the scene by explaining that even the reeds along the Nakdong’s shoreline, which were previously used by locals to make hats and mats and were now classified as government wasteland, were claimed by a private Japanese land owner under “the pretext of ‘disposing of government-owned wastelands.’”5 Whether or not this part of the story is factual, it is representative of the way in which settlers could, and would, disrupt the lives of locals whose families had lived there for such a long time, intentional or not. 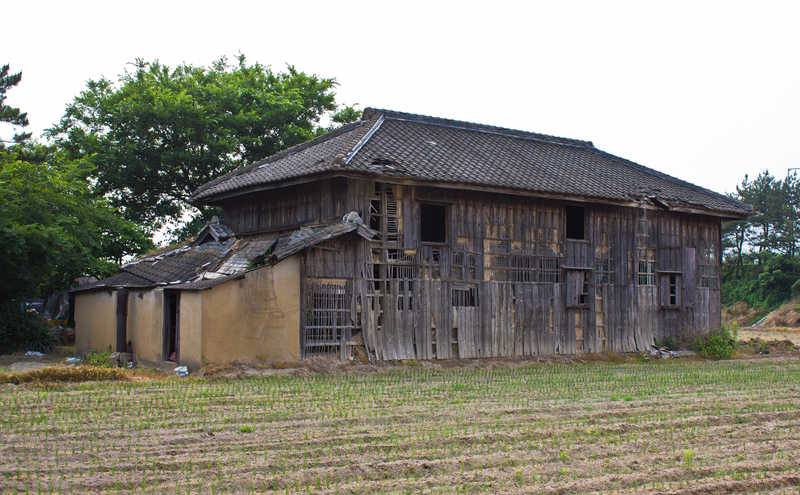 What remains of Japan’s colonial residences along the river lie in Daejeo. 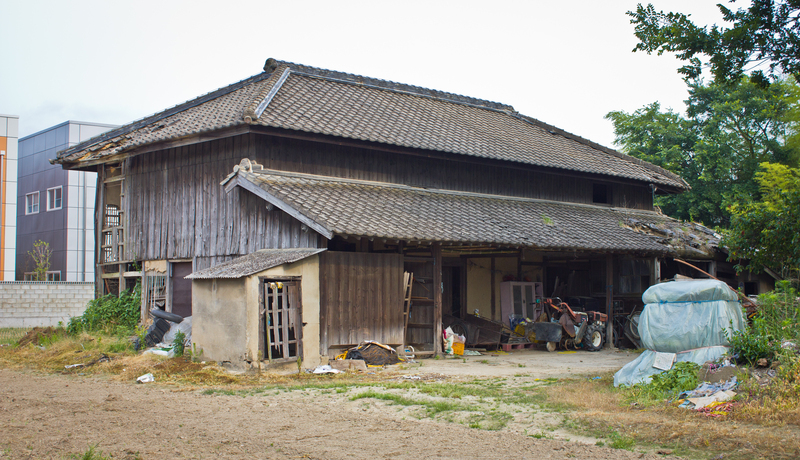 There is a surprisingly large concentration of Japanese farm houses and residences that have received little attention. 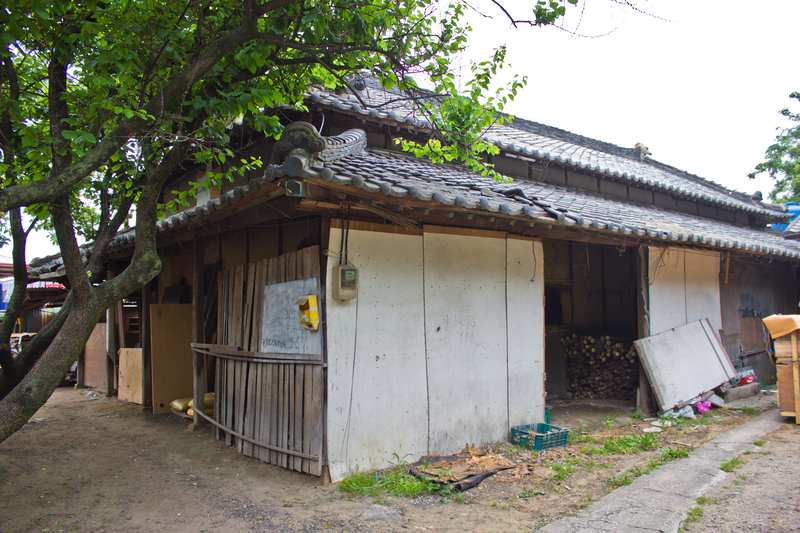 While sometimes there will be a lone colonial structure in the middle of the countryside with cultural heritage status, Daejeo has multiple buildings all within walking distance of each other. The first one can be found at the intersection of Daejeo-ro 273beon-gil and Daejeo-ro, about one block north of Gangseo-gu Office Station. 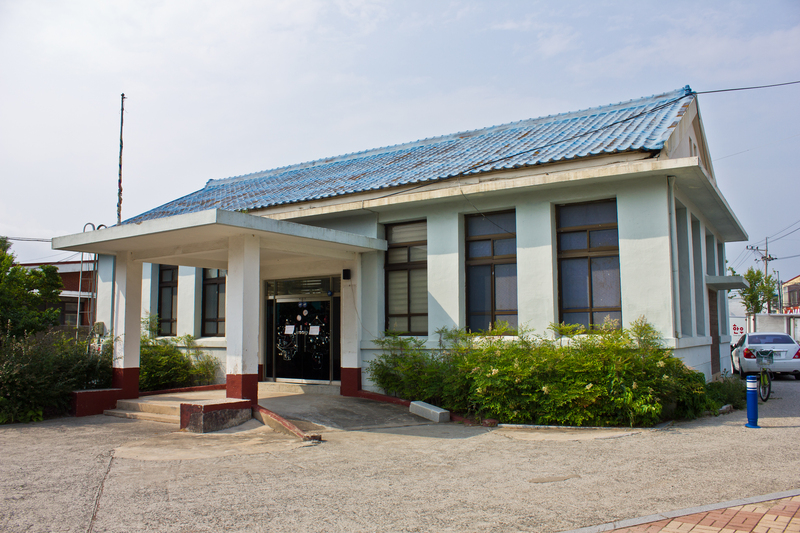 Daum Maps marks the structure as serving the Korea Rural Corporation, but it appears to also serve as a school or lecture hall. 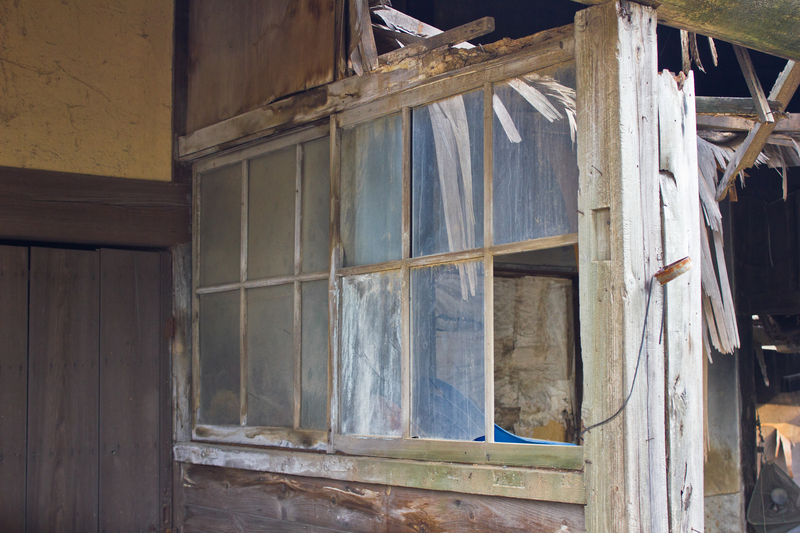 It has large windows and probably dates to the 1940s or 1950s. 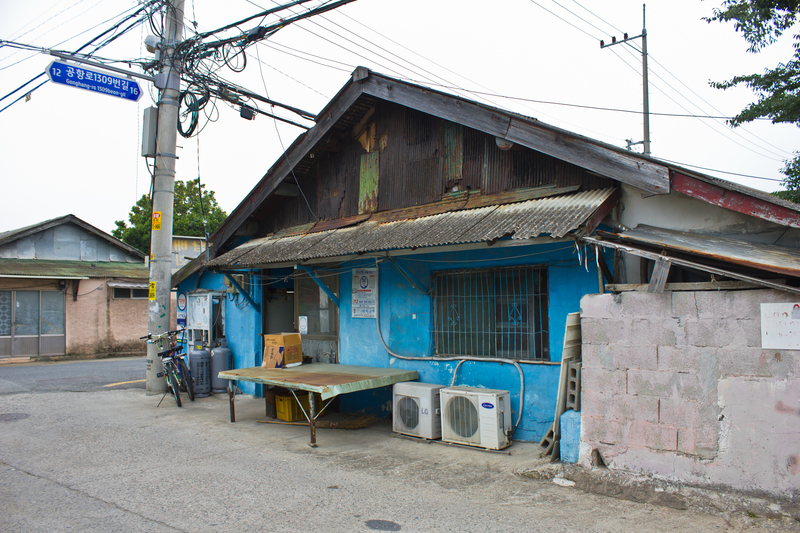 A patched-up colonial era warehouse sits right behind it. 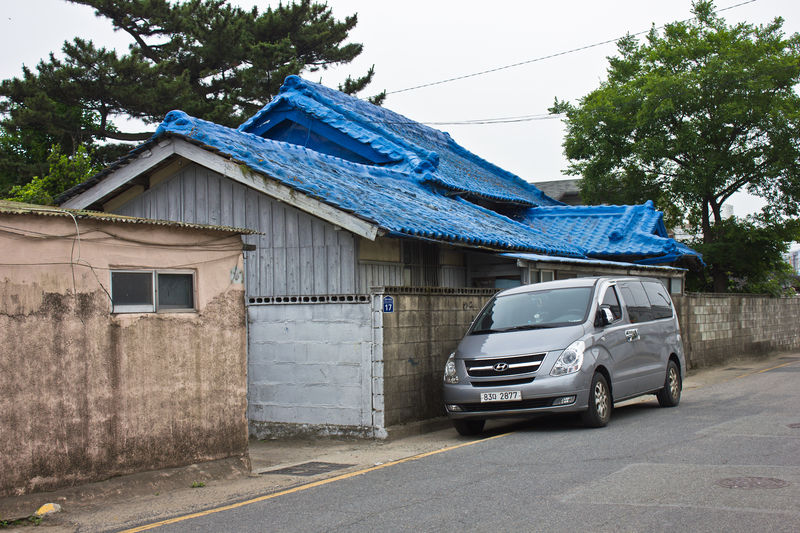 As you continue to walk north along Daejeo-ro 273beon-gil up to the old Gangseo-gu school, there are a few early or mid-century modern buildings whose exteriors have been altered. 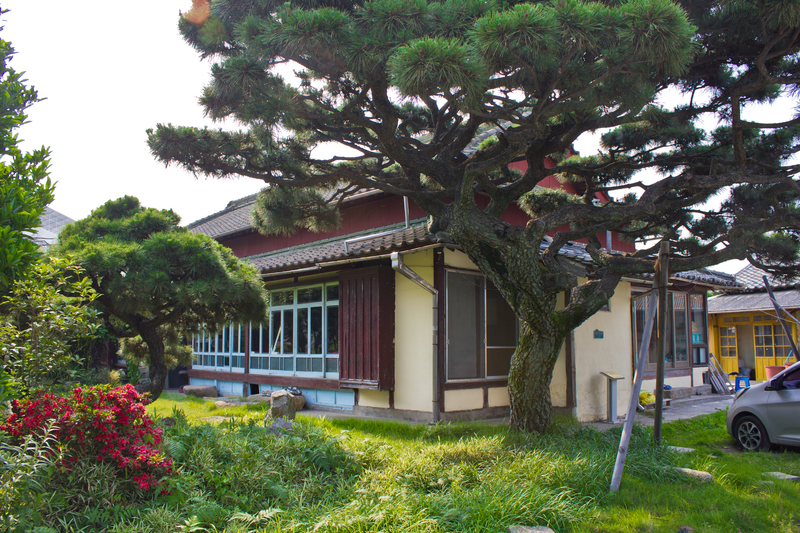 However, behind it, next to the new school, is one of the most beautiful Japanese houses in the Busan area. 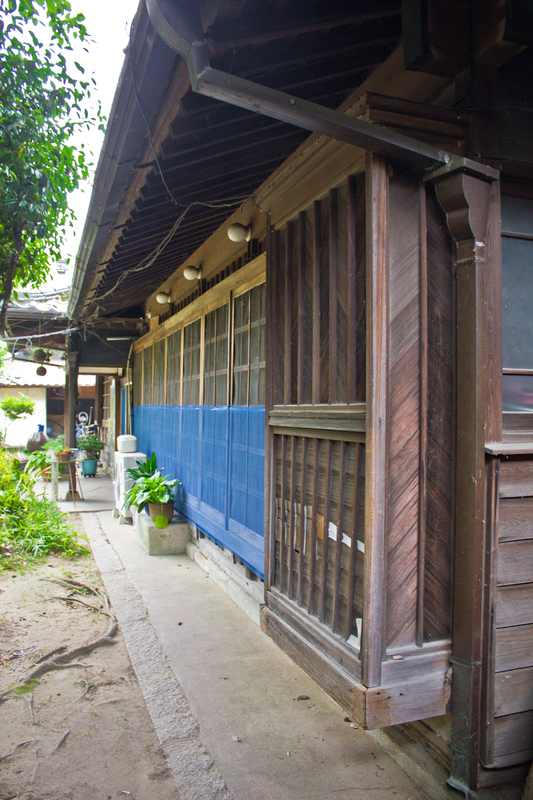 A small Edo or Meiji inspired garden conceals its facade from the street, but a walk up the driveway gives way to a nice view of the structure’s wooden exterior which has been painted over in red and blue. 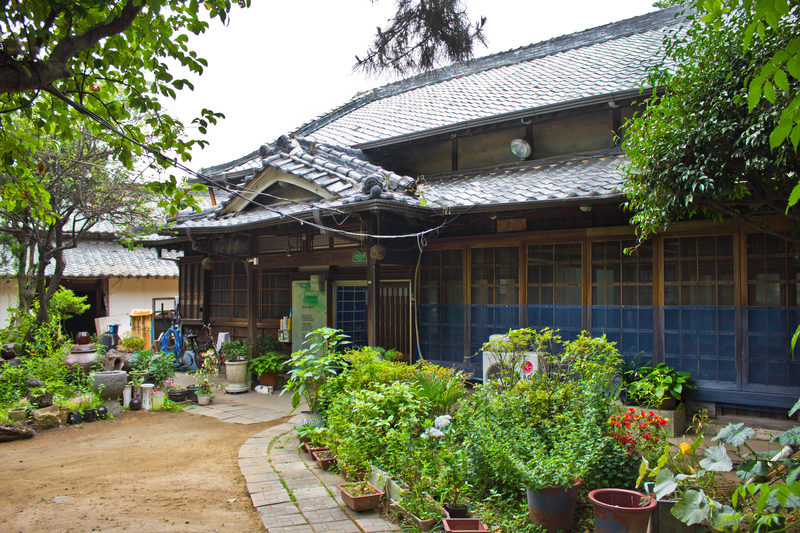 Built in the 1930s, this one story building seems to have a kind of “T” shape where a newer section for the kitchen juts out away from the original section facing the garden. 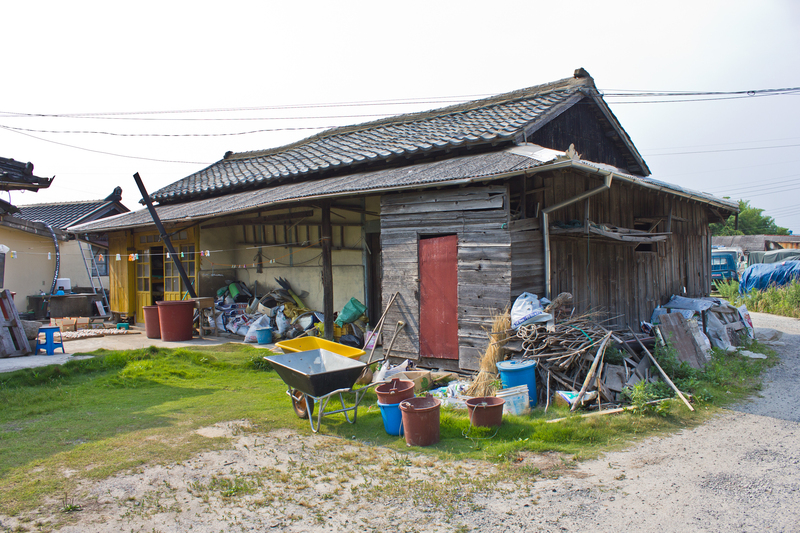 A wooden storehouse sits behind it while another little building can be found on top of a small earthen retaining wall. 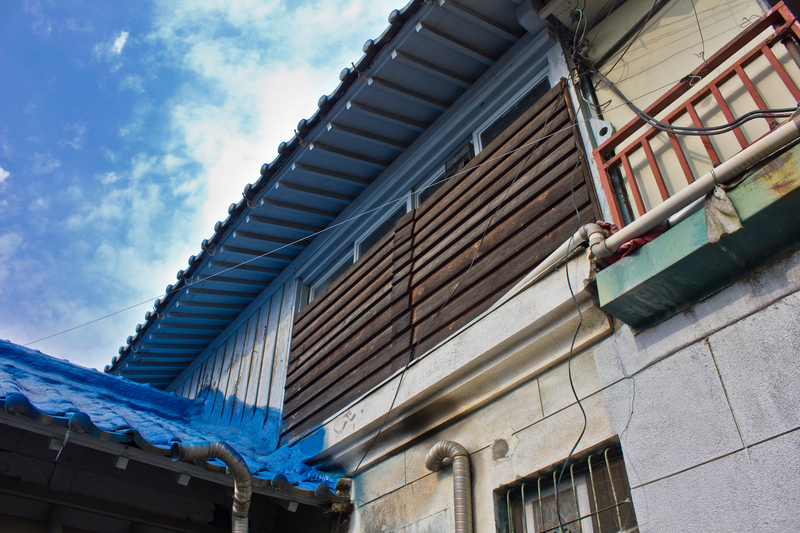 Fortunately, it is a Registered Cultural Heritage of Busan. 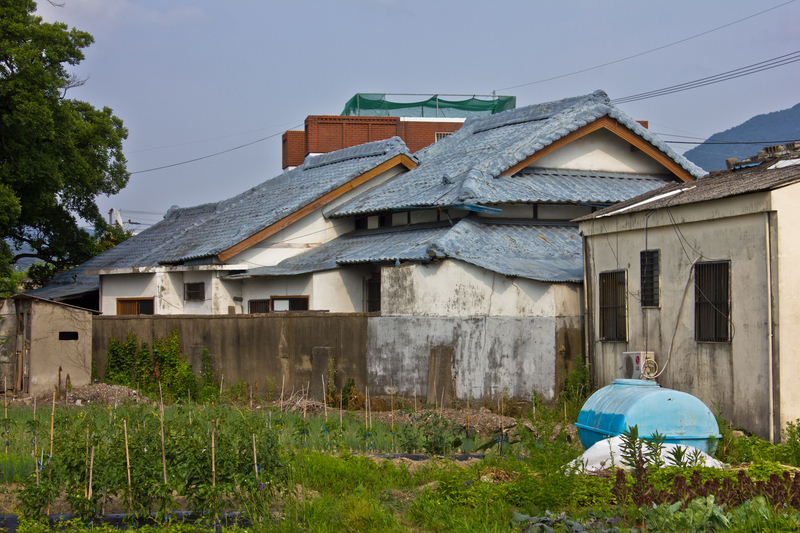 Another Japanese farm house sits behind a set of walls just a block over from the previously pictured home. 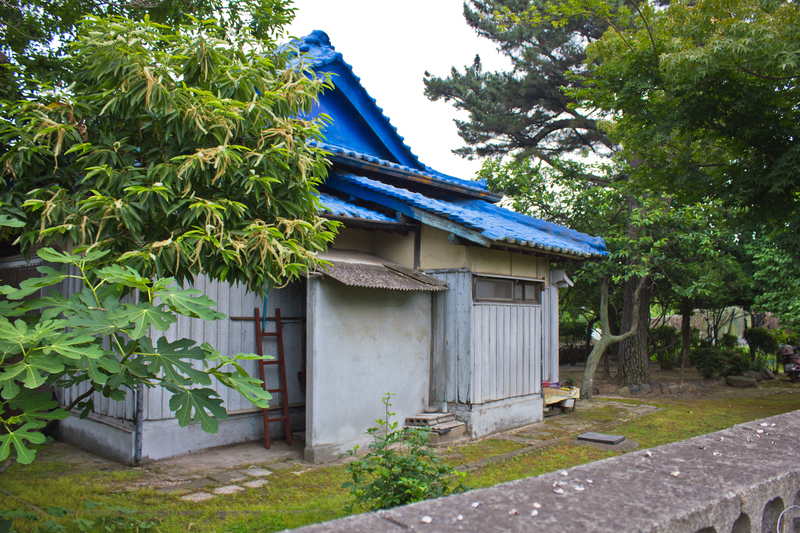 Unfortunately, it has had its giwa roof painted over in blue, but it is still a good example of early modern architecture in the area. One block west of the old Gangseo-gu school, at the end of Daejeo-ro 255beon-gil, is one more Japanese home. This one has been completely painted in blue, and while its east facade is mostly original, the west side has some interesting changes. 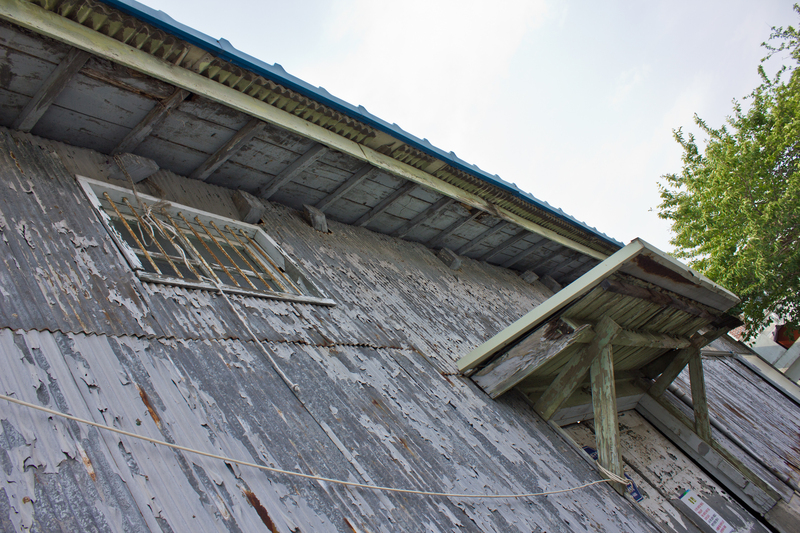 The second floor has something resembling scaffolding stuck to its exterior and features the kind of plastic-looking walls that are used in little parking lot attendee kiosks. 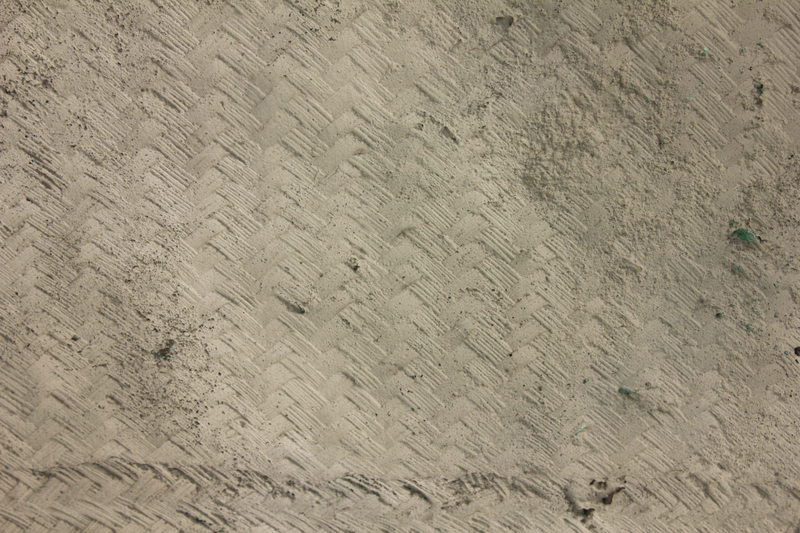 The first floor of that same side has been refinished in concrete. Interestingly, the windows on the second floor of the west side have been covered over in wood paneling that was perhaps taken from another part of the exterior. There’s also a curious stained glass window in a little room just underneath this. 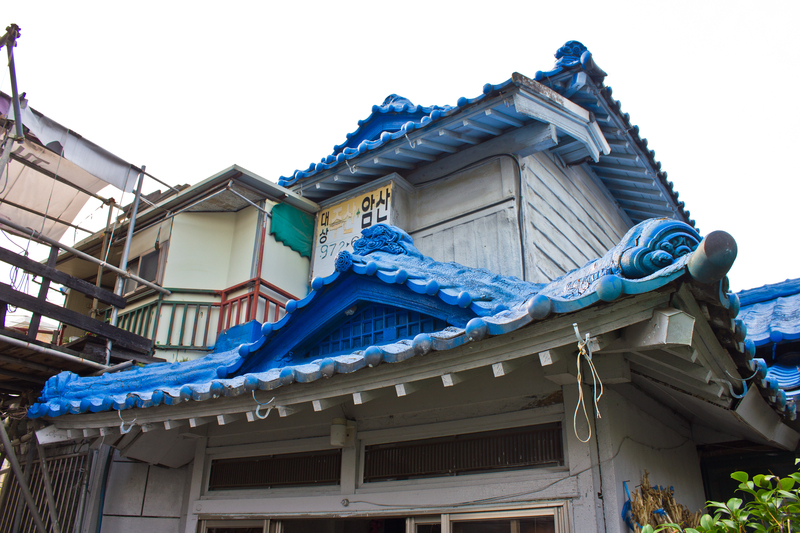 As a side note, this gabled roof building near the previously pictured Japanese house deserves to be mentioned. 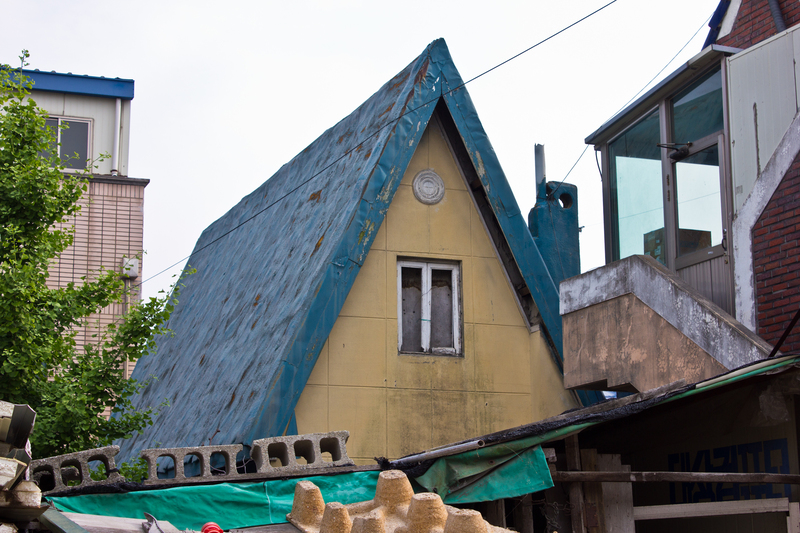 There are a handful of buildings in Daejeo that have this steep, pointy roof design, but some of their origins are unclear to me. This is largely due to their modified facades, making it difficult to tell whether these were buildings from, say, the 1960s or 1970s, or the colonial period. By the 1960s, it became less common for new structures to have gabled roofs, but it was not unheard of. 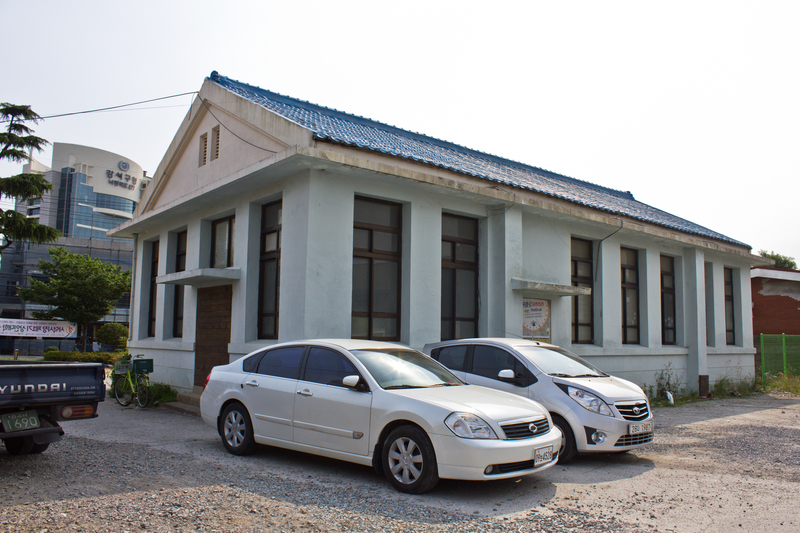 For example, take the Unification Church in Tongyeong: an eclectic building that makes use of Western and colonial design built in the 1970s. 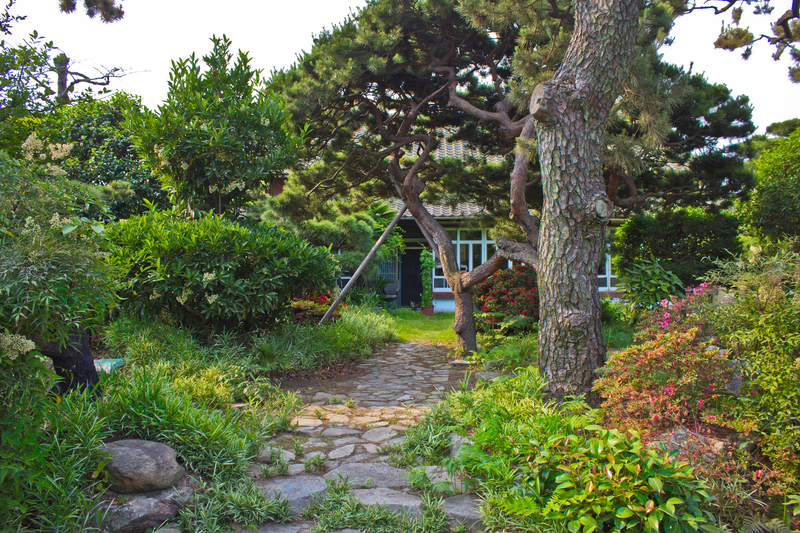 Hidden behind a grove of trees at the intersection of Daejeo-ro 221beonna-gil and Daejeojungang-ro 394beonga-gil sits a massive two story Japanese farm house. 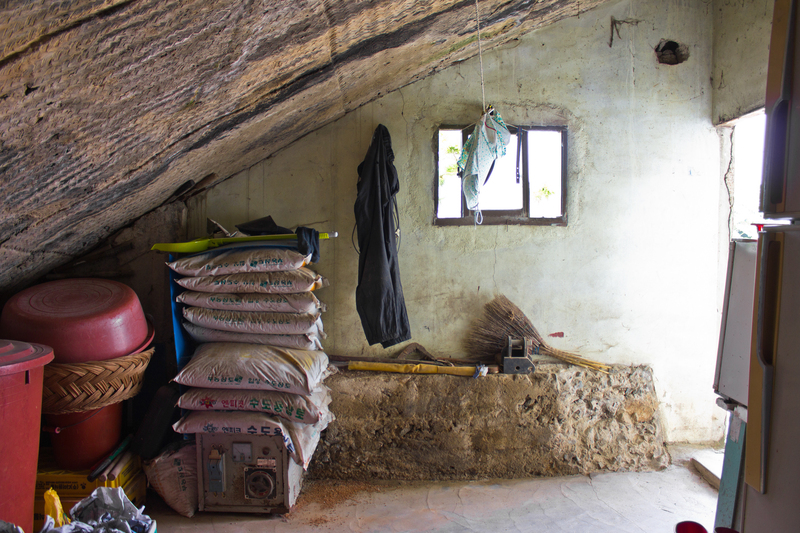 Everything about this structure is fascinating, from its crumbling mud walls to the well preserved wood on the second floor. The fact that it has survived this long with seemingly little, if any, maintenance is remarkable and could be a testament to the quality of the home’s construction. The farm house was built in a simple rectangle with a small awning that protrudes from the structure’s west side. A small concrete or cinder-block outhouse was added at some point. 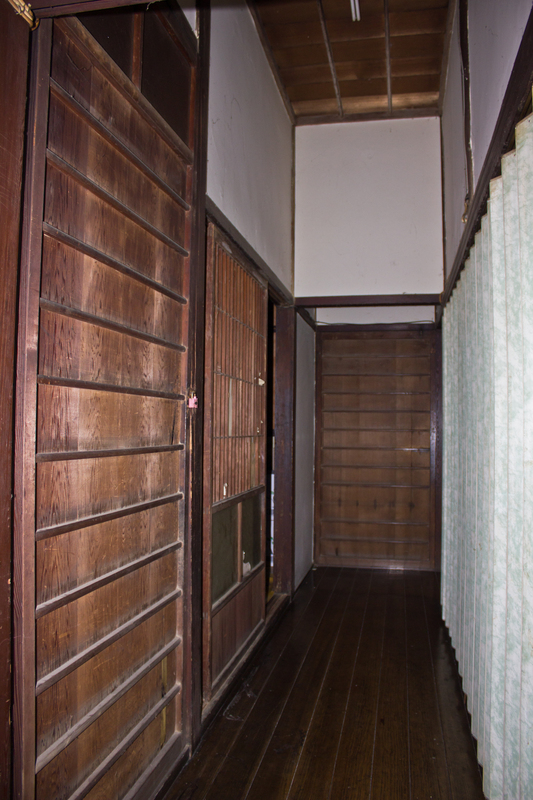 Though presently used for storage, the family currently living there claimed that it was a former Japanese residence. The grandmother of the household wasn’t available to talk much, and she didn’t say when the house was built exactly, but she did briefly mention that there used to be a three story temple nearby. 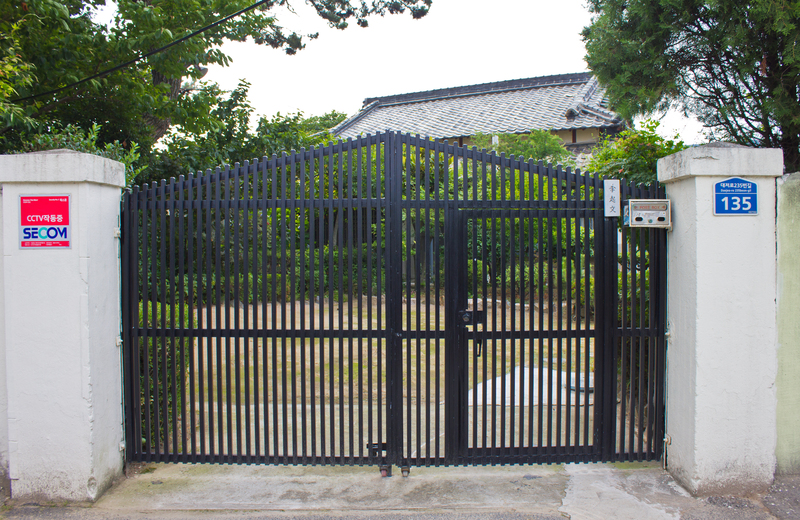 Presumably, it was a Japanese Shinto shrine, because she hastily noted that it was torn down by order of the president after liberation. 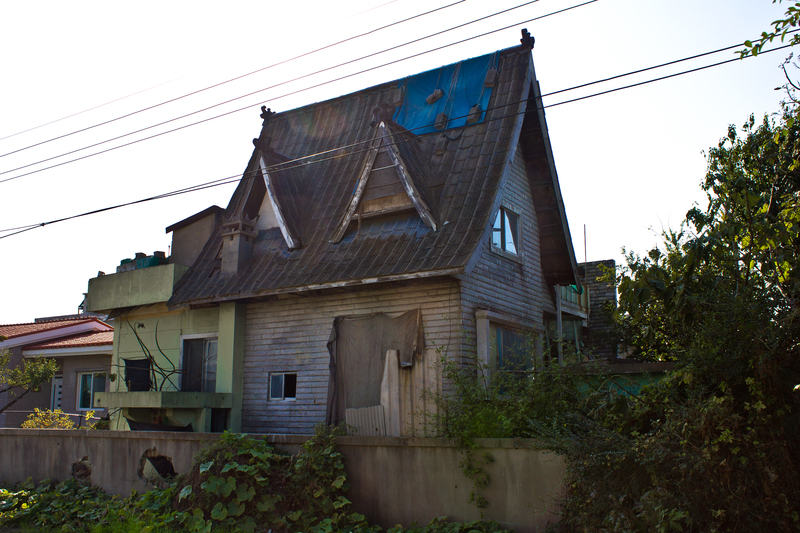 The building is not protected by the government, which is unfortunate considering that it is starting to fall apart and may be the only remaining two story Japanese farm house of this size in the Busan area. 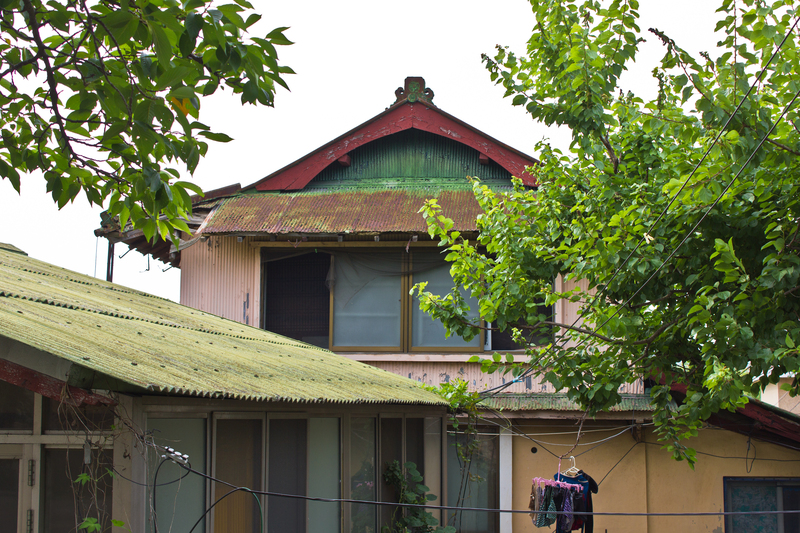 Though I’ve personally seen a few similar buildings in other parts of Korea, I’ve never seen one as untouched as this one. 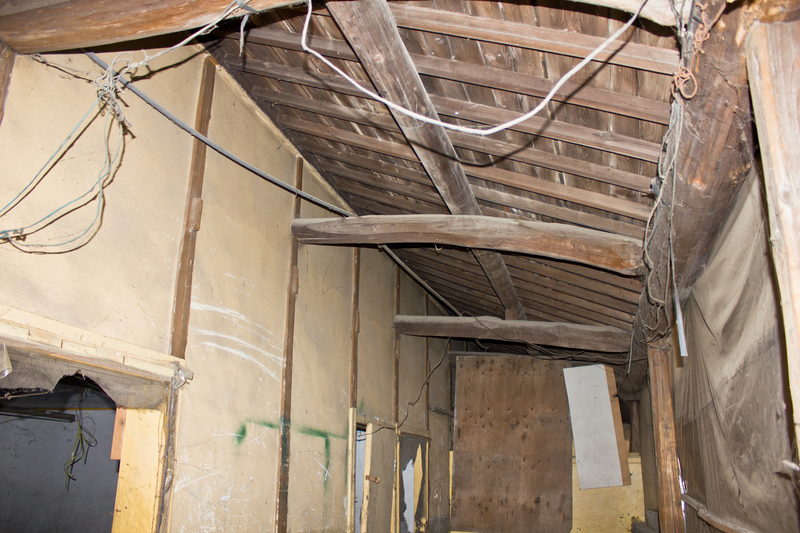 Despite its decay, it is an important find and should become a cultural heritage site. 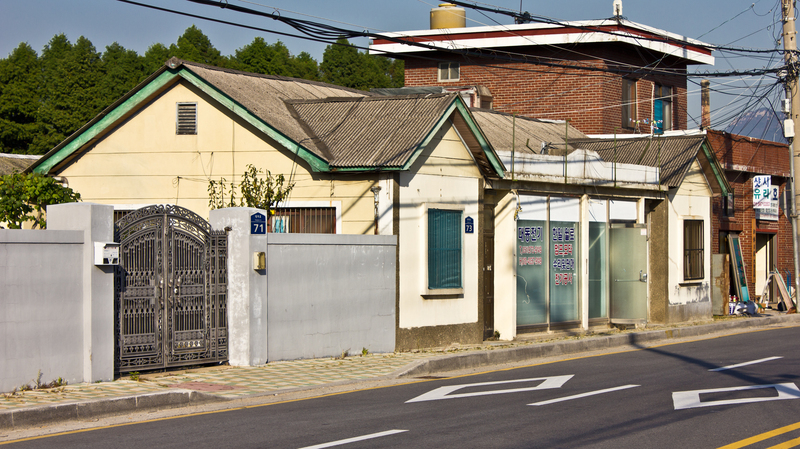 A pair of colonial structures can be found at the intersection of Gonghang-ro 130beon-gil and Daejeojungang-ro 394beon-gil. 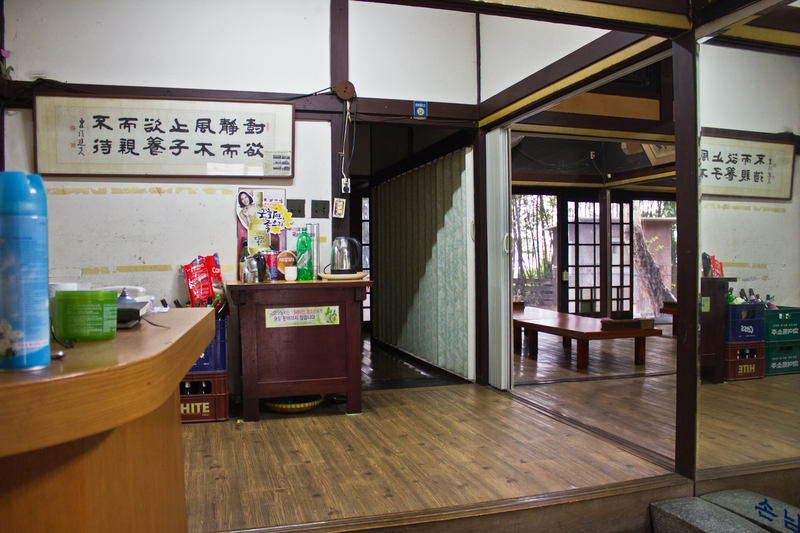 The lesser structure is a one-story, wooden building that has been covered in tin and now serves as a convenience store. 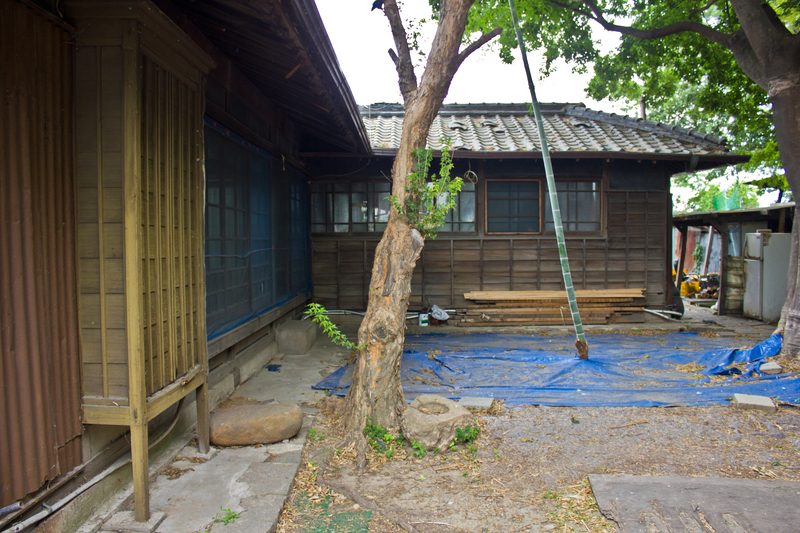 The larger one is yet another Japanese house built in the same way as the previously pictured homes. About four blocks north, built along Gonghang-ro 1347beon-gil, there is what may have been part of a large colonial rice plantation. 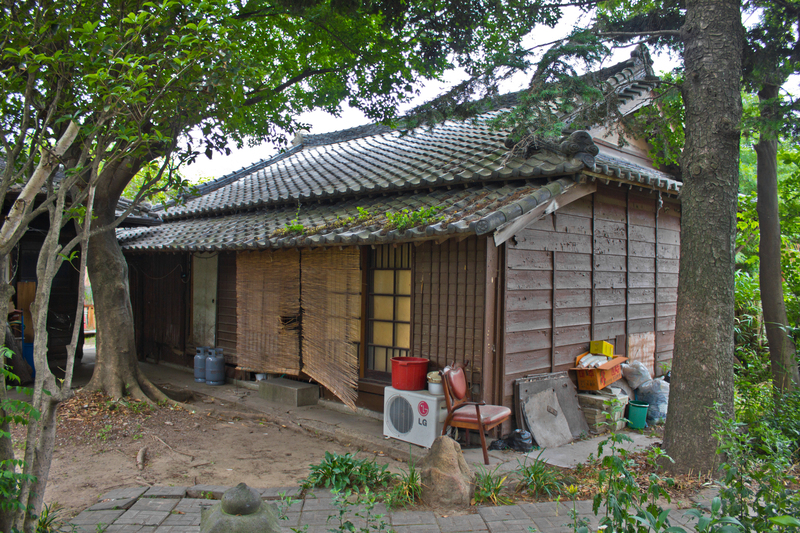 Built in 1926, the estate consists of three wooden buildings that sit clustered too closely together to have been separate households. The center structure has been well maintained and parts of it, despite being newer, have fortunately been renovated in the same style. The building to the left is currently being used for storage while the building on the right was closed. 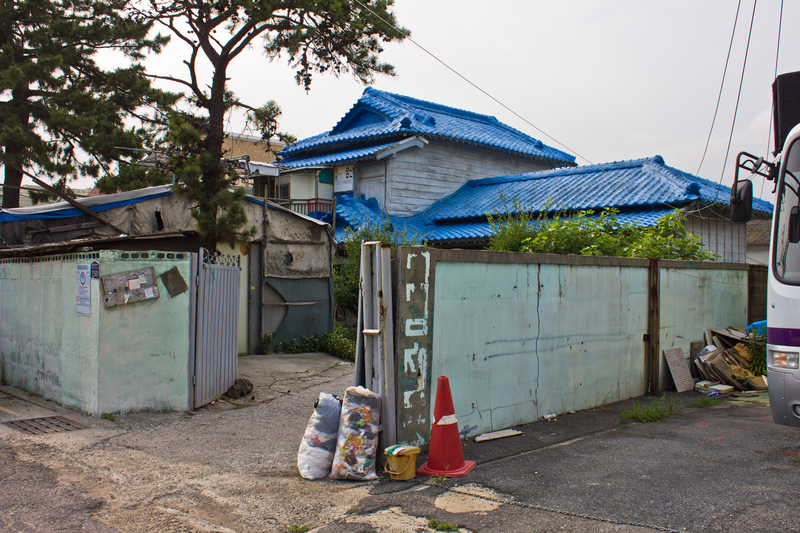 Like the previously pictured red Japanese farmhouse, this one is protected by the city of Busan. This one currently serves as a restaurant that serves really good home-style Korean food, including pork smoked inside bamboo. 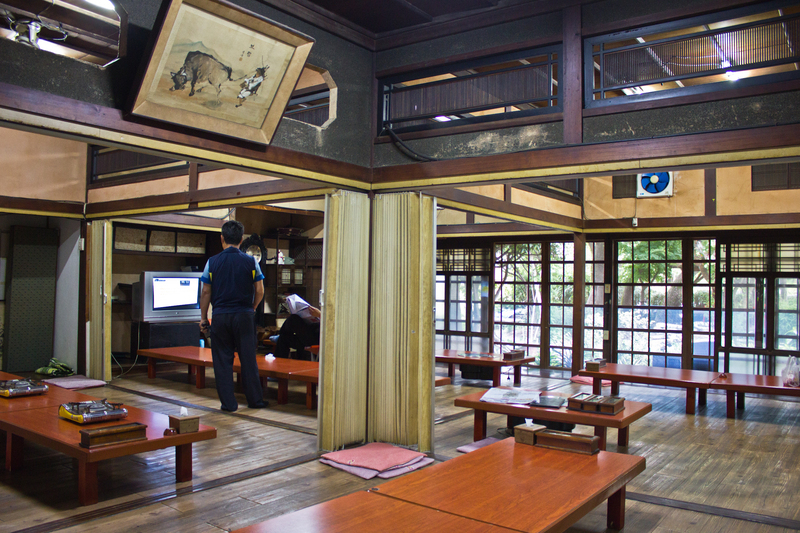 The main room of the center building is split four ways to allow for folding screens to separate dining parties. 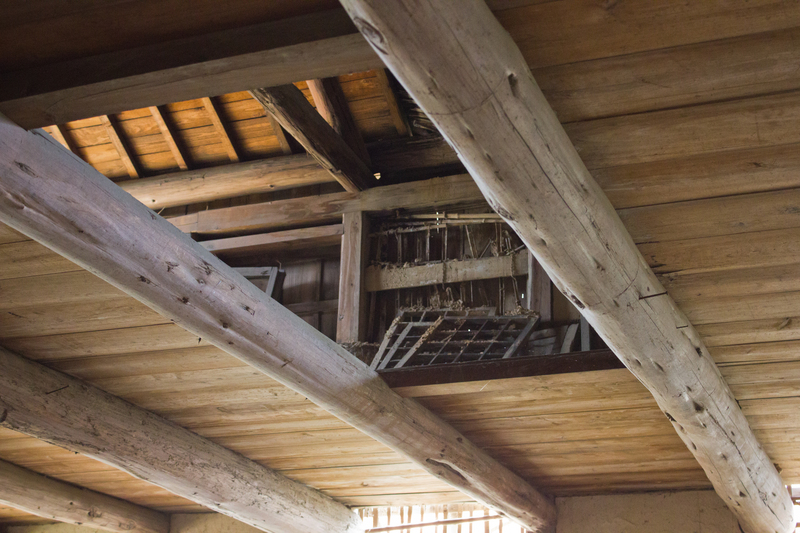 However, judging by the design of the ceiling where the tracks of the folding screens are located, this floor plan may have been original. 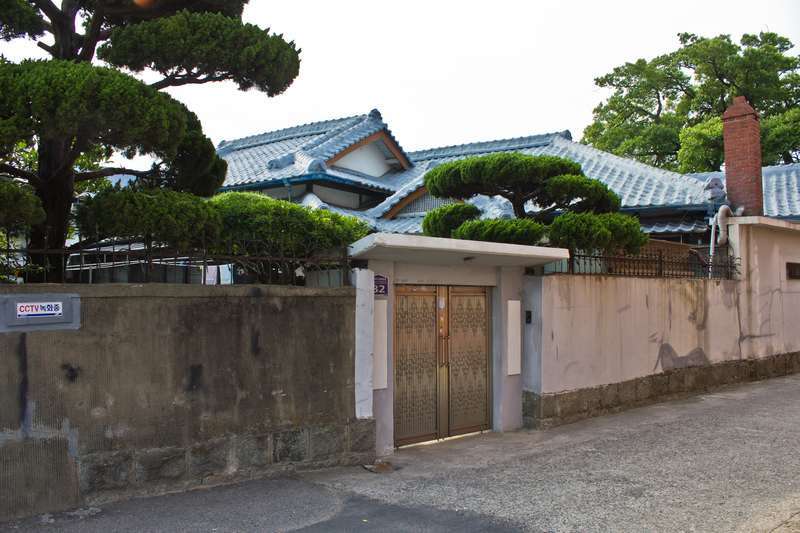 Another minor colonial building can be seen along Daejeojungang-ro. It is now covered in tin, but its length and small second story are interesting. 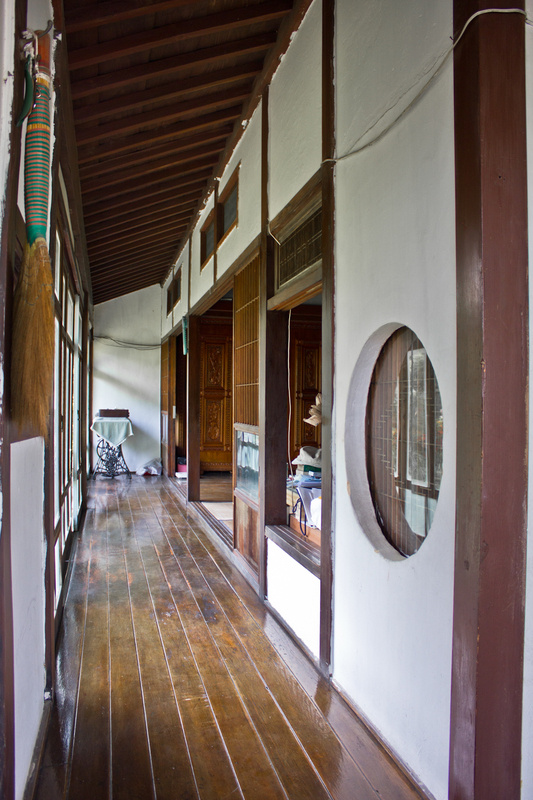 A colonial hanok also used to sit along this road as well. However, it either collapsed or was dismantled. 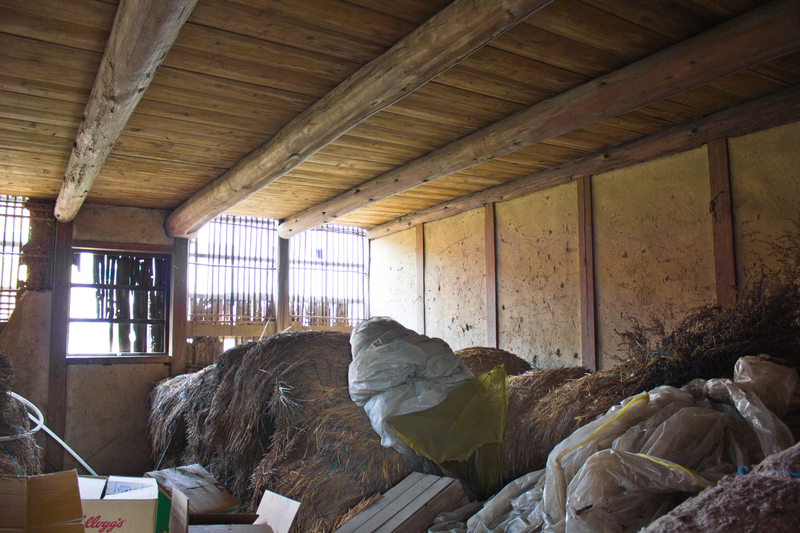 Some of the wooden frame was still piled up against a fence at the site when I visited. 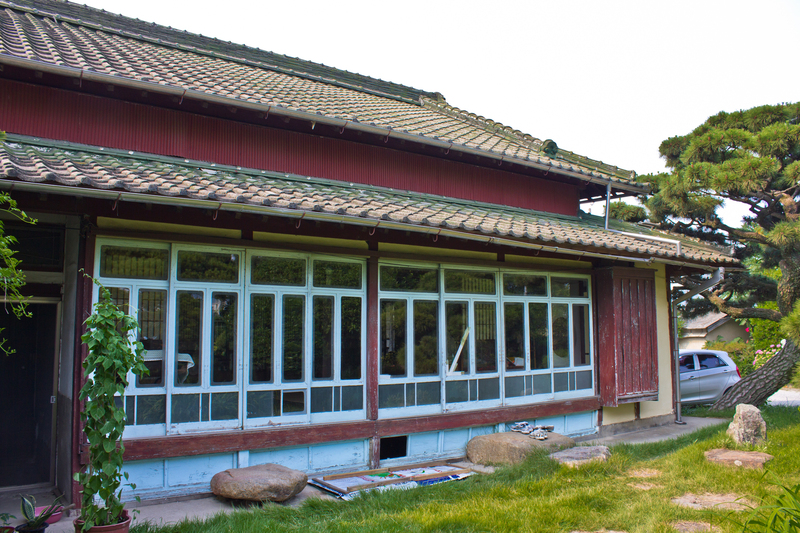 A well preserved Japanese home can be seen on Daejeo-ro 235beon-gil, though it is a private residence and walled off. 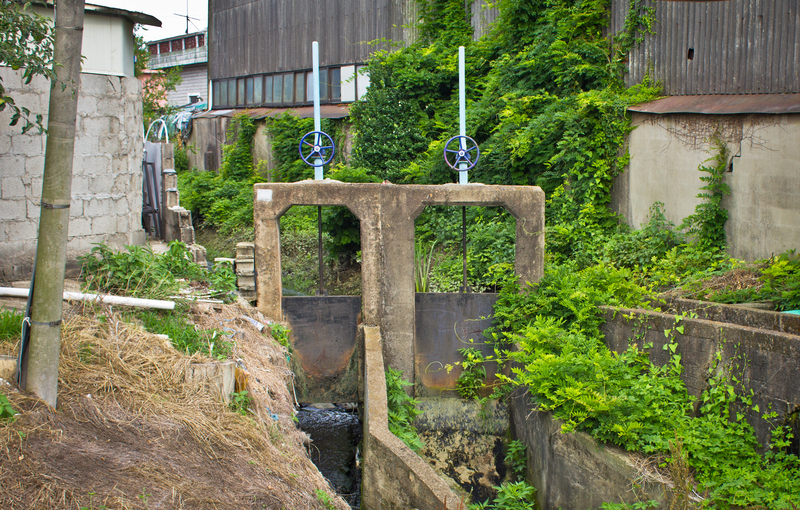 Near a small irrigation stream, I happened upon a flood gate that appears to date to the colonial era in that it resembles other Japanese built dams that I’ve seen in Korea. If it was built during that time, then the irrigation ditch itself also dates to the Japanese occupation and was likely dug out at the time of Daejeo’s development and land reclamation. 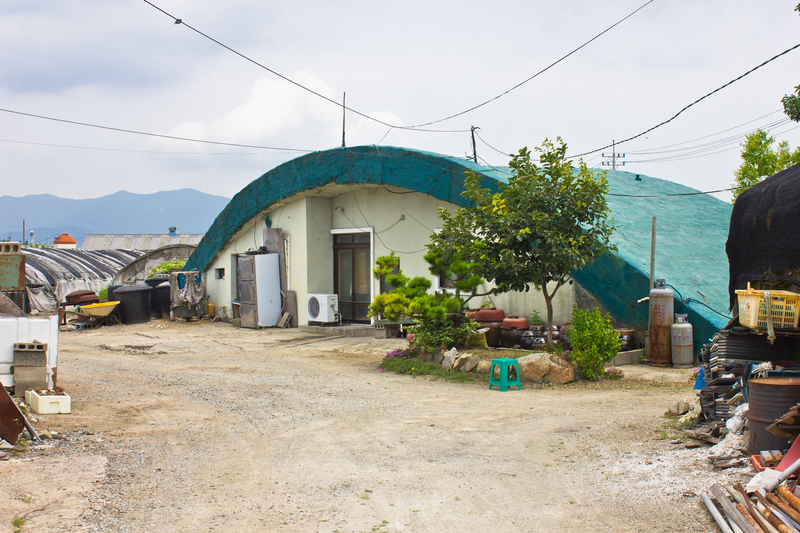 There are a few more structures along Daejeo-ro near the Sports Park Station. First, unlike the previously mentioned building with a really steep, gabled roof, the one below is unique. The roof flares out in a way that is more consistent with architecture of the colonial period. Newer gabled roofs often have a straight pitch, but this one does not. 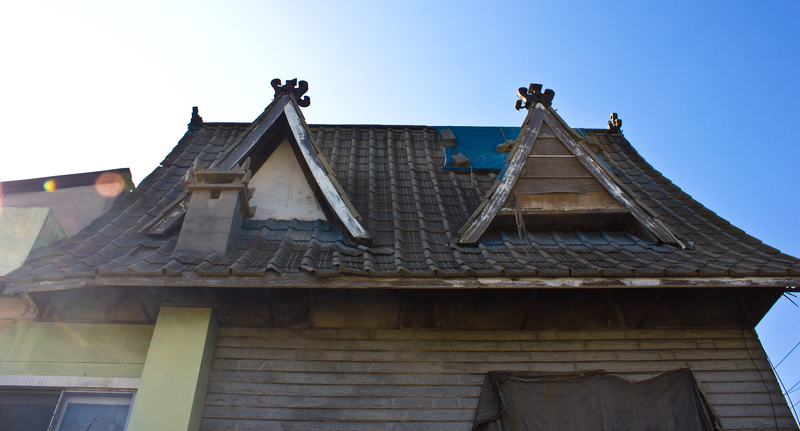 It also features two giant dormer styled protrusions that probably used to have windows. 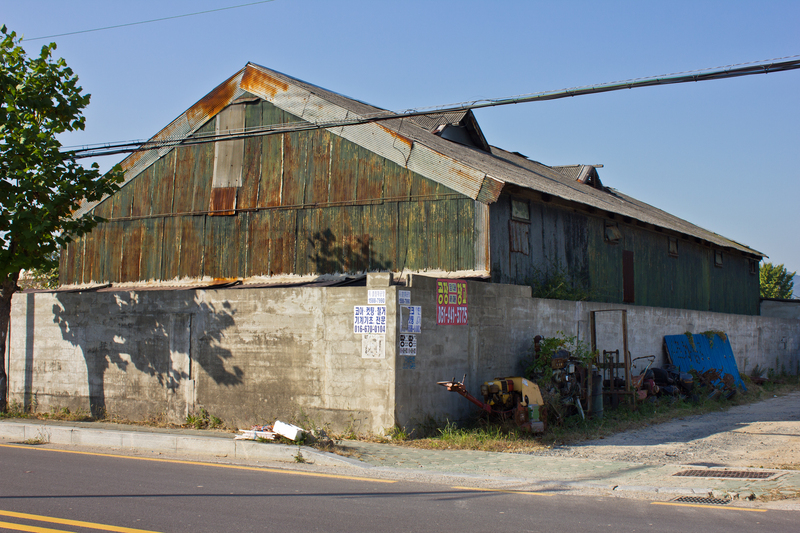 An early modern warehouse and something that may have been a public office from the 1950s can be found west of here down Daejeo-ro near Daejeo Station. 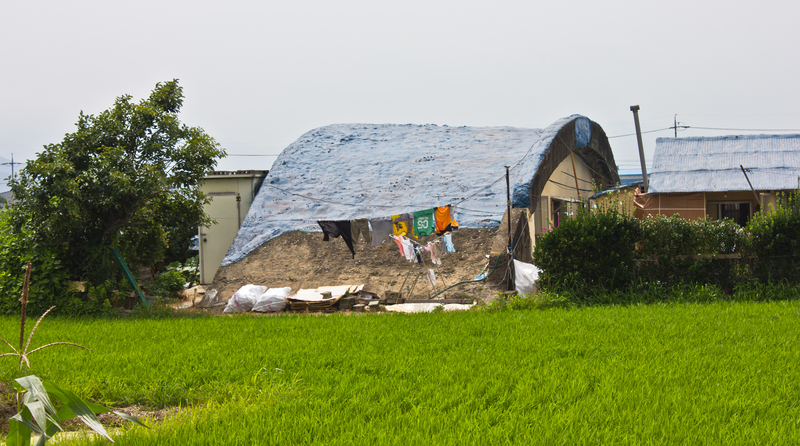 The first bunker pictured below, which reportedly never saw any combat,10 is currently occupied and has been in the owner’s family since liberation. The grandmother of the household was kind of enough to talk for a bit and confirmed that the immediate area was also marshy wetland that was drained and developed in the first half of the twentieth century. However, the Korean government confiscated all the land that backed up against Gimhae International Airport and is currently under military jurisdiction. This is a reoccurring theme in post-liberation Korean history, where present day Korean military installations actually occupy old Japanese military bases. A great example of this is the Jinhae Naval Base, which has a number of colonial Renaissance buildings that are, unfortunately, entirely off limits to the public. 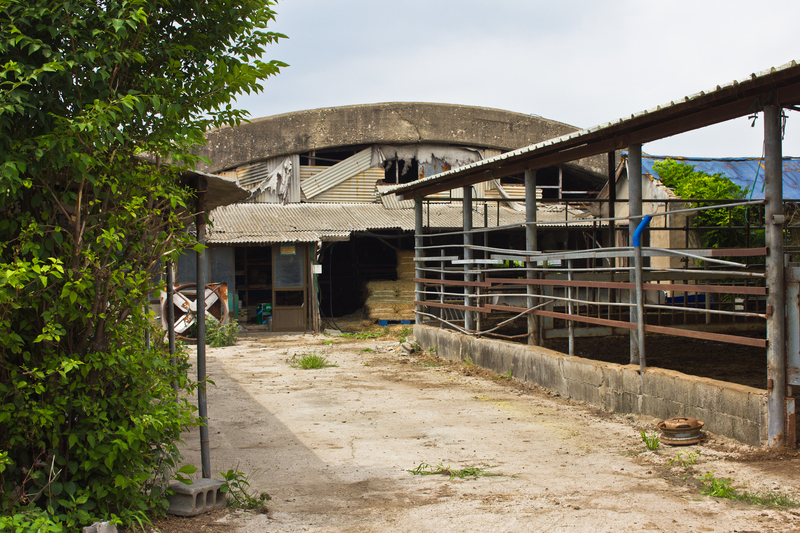 The owner of the bunker lamented that despite having ownership of the structure, a tax has to be paid to the government to farm the surrounding land. Residences here act as tenants of the land on two year contracts. Two more bunkers are pictured below. The first one is right next to the previously pictured one and appears to be used as storage. An awning has been added to the facade. 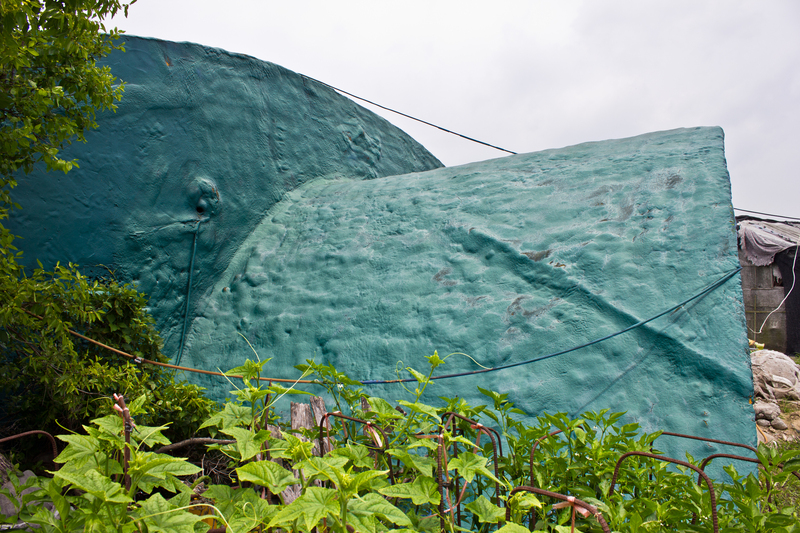 The second one pictured below can be seen from the main country road (Ipsosinpyeong-gil) and has had a newer section attached to it. The area could see a lot of changes in the next few years if the airport is expanded. There is currently a debate over whether to put a new airport in Miryang or expand on Gimhae Airport. 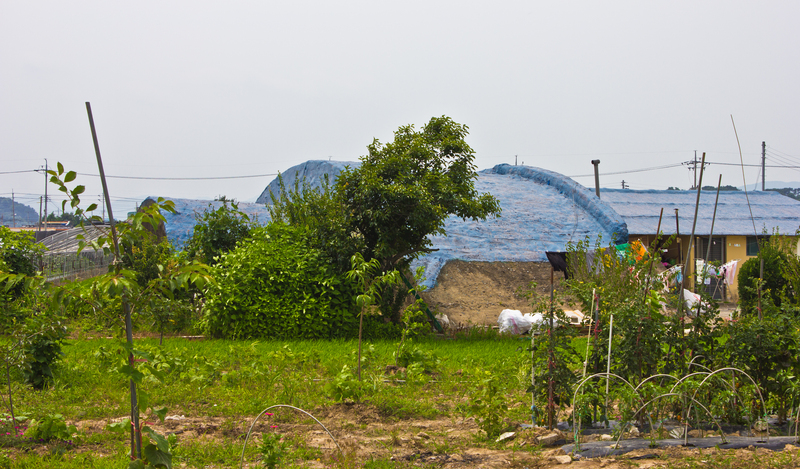 If the land near Gimhae Airport is chosen, it is possible these bunkers could disappear. 1Cho Myŏng-Hŭi, Nakdong River, trans. Brother Anthony of Taizé (1927). 2William Elliot Griffis, Corea, The Hermit Nation (Charles Scribner’s Sons: 1894). 3주경업, “[주경업의 부산에 살다] 대저 일본군 비행기 격납고,” 부산일보 (2015). 4Cho Myŏng-Hŭi, Nakdong River, trans. Brother Anthony of Taizé (1927). 5Cho Myŏng-Hŭi, Nakdong River, trans. Brother Anthony of Taizé (1927). 6“The Road to War – Japan.” YouTube. Flash video file. http://www.youtube.com/watch?v=yDv8NxGv9Yg&t=38m51s (accessed July 2nd, 2015). 8주경업, “[주경업의 부산에 살다] 대저 일본군 비행기 격납고,” 부산일보 (2015). 9주경업, “[주경업의 부산에 살다] 대저 일본군 비행기 격납고,” 부산일보 (2015). 10주경업, “[주경업의 부산에 살다] 대저 일본군 비행기 격납고,” 부산일보 (2015). *All information about the bunkers was taken from the above Busan Ilbo article. 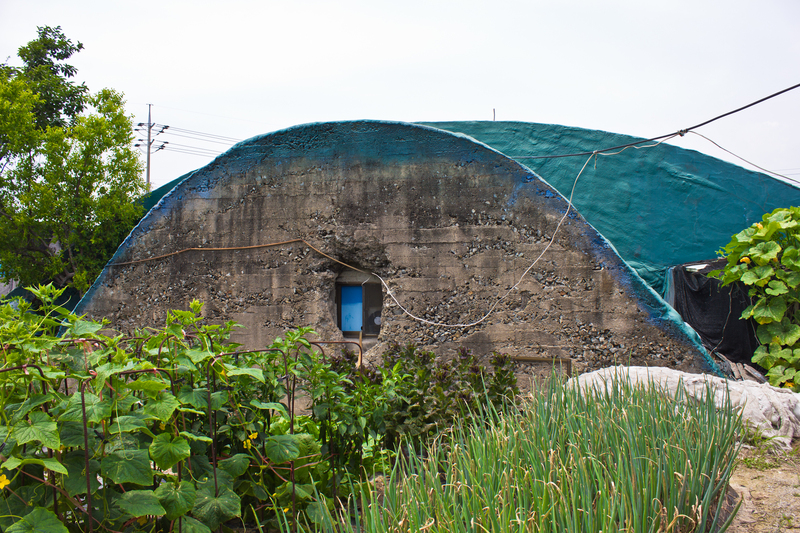 I lived in Gwangju for five years and my in-laws live near Gunsan which, as you’re probably aware, has an interesting collection of pre-war architecture. I am a Melbourne based independant filmmaker and my projects generally focus on issues of architectural and urban heritage. Thanks for your kind words, Jacques! Yeah, I’ve photographed Gunsan and Gwangju, just haven’t gotten around to writing about them yet. I love both of those places so much, and I will cover them here eventually. Where could I see some of your work? Please send me a link if possible. Thanks again! Edit: nvm, I just clicked on your blog. I’ll check it out later when I get off work.